"I cannot plant imagination into my children. I can, however, provide an environment where their creativity is not just another mess to clean up but welcome evidence of grappling successfully with boredom. It is possible for boredom to deliver us to our best selves, the ones that long for risk and illumination and unspeakable beauty. If we sit still long enough, we may hear the call behind boredom. With practice, we may may have the imagination to rise up from the emptiness and answer." Childhood boredom is a lost art. Seeing our kids flopped down on the couch "bored" intimidates us parents. So we hurriedly try to fill their free hours with "things to do" and quickly, at the first sight of boredom, move them onto the next activity. We may fill in so much of their down time when they are home because we think we are helping to make them well rounded, able to excel in many things we deem important. Maybe we fill in their time and fear boredom because we second guess our parenting to some degree: if my child is bored I must have not done something wrong. But seriously, it was the real boredom on those hot, humid summer days of my childhood that my best creations came about. The real boredom that made my brain eventually work and work until new ideas and solutions and my most important work came about. Heading back out in the heat for the ultimate mud pies. The more risky bike rides away from home. Making paper food with my sister for the millionth time. When you see your child bored, STOP. Don't immediately rush them off to some organized activity. 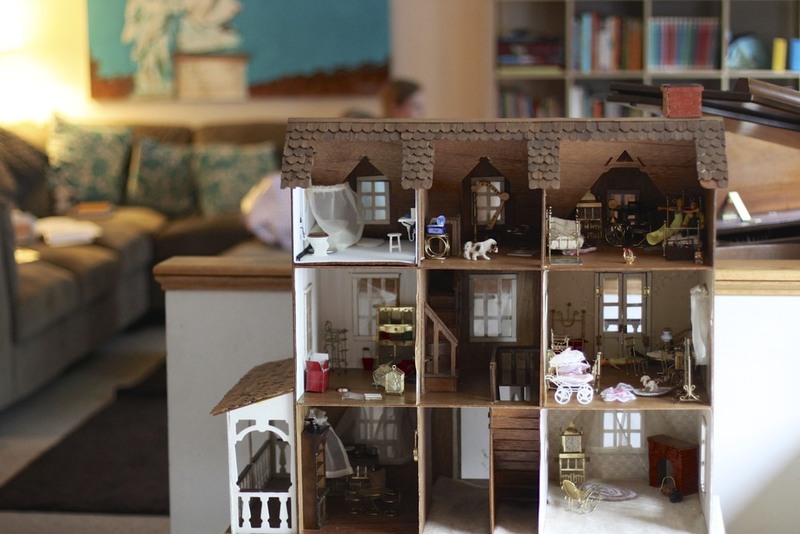 Give your child a few minutes to sit and own their boredom. Let their boredom drive them to something new that only they can fulfill for themselves. This takes so much patience at first as a parent but try it. Wait. Put out random supplies on the table maybe. Give a few creative suggestions perhaps but just wait. With time, you will see your children embrace boredom that is and will always be a part of being human. They will begin to use their own mind to move beyond it. The still, quiet moments will force their mind into new directions. And you as the parent will see inner strength and inner resolution grow and grow within that child time and time again. They need to own their boredom so they will learn now (and always remember) that they are wise, curious, and creative enough to use it as a catalyst for something grand. Don't fear boredom. Embrace it. It is your child's greatest driver of progress now and throughout their life. Our four raised beds have been weeded and now after yesterday morning's "table time" we have four gardener's plans for the garden this year. A handful of pre-written garden term wordstrips made the garden planning easier for my beginner writers to copy onto their garden plan. A little glitter glue and this year's illustrated plans came out beautifully! Looks like everyone wants to try planting watermelon again. Let's hope we get more than two baby melons. Are you planting a garden this summer? What are your garden plans?? As unschoolers, our family doesn't follow a set curriculum. Because of that, we are free to explore and dive into the subjects we are most interested in at any given moment. That means the library is one of the most important assets of our homeschooling. We visit one of our local libraries about every two weeks and come away with roughly 30-40 items from books, magazines, documentaries, and DVD series. The library really expands any homeschooling experience by providing either supplementary material or primary material for learning and exploring and any given topic. While my kids are enjoying the library (reading books, building with Legos, researching book titles) I help kids one-on-one find their interested topic-specific books. Some weeks it may be Ancient Rome and baking, other weeks it's bugs and minerals. Once I've helped each of my kids find their own special books, they return to their personal play/reading in the library and I continue my search for the remaining books/materials. The local public library makes the whole wide world open to our family. History, science, the arts, mathematics, and beyond have been explored in the comforts of our home and on our couch from the hundreds of books we've checked out at the library. Visit the library with your kids right before a long road trip. Let your kids checkout a handful of new picture books to be their entertainment on the road. Grab a new chapter book to read to them during the trip. And don't forget a few audiobooks for when you're needing quiet time in the car (possibly during a young child's nap time on the road). Teach your reading kids to use the library's digital card catalog at an early age. Those children will love the confidence they have to sit and explore the library system anytime about any subject and then seek out the book on their own. Change things up by rotating local libraries. Visit a different library each visit or every other visit. Some libraries have better non fiction sections than others for kids which makes choosing the interested topic-specific book selection much more exciting. Organize meet-ups with other homeschooling friends at your local library. It makes the visit a bit more social and fun for kids and moms. Watch friends introduce your kids to new book series and vice versa. Keep your library books in the same place in your home for your children (and you) to return to daily. Ours are always in a basket by our fireplace. Go out and explore your library. You'd be amazed by how much learning, growth, and excitement can come from always having loads of interesting books in your home. Go out + live boldly! I see now at my age that life isn't a race or about "winning" or reaching the top first but about giving everything you have to the things you care deeply for. One person's "things" are different from another, just as one person's passions/priorities are different from another. You give and give and become more and more. Sometimes you see progress and growth where you concentrate your nurturing and time and sometimes you see no progress in your very sincere efforts. Then old phases die out and new phases begin and you start all over again, choosing your priorities all over again. Giving and observing, making sure your heart and precious time is moving something small into something bigger. We give so our children grow from something small into something bigger. We give and wait for our dreams to come true. Give life into our deepest hopes and longings. And give great effort to breaking past our struggles to find peace again. And the cycle of giving is always there, always deep and real but changing its' purpose with each phase of our lives. I love that Rowan keeps a pile a sticks in his arm at every chance he can, even if it slows the group down on walks. He spots a new stick every few feet and is determined to add it to his arms. I've learned to stop making it a "race" in a sense for us to get back to the house to do A, B, and C. I've tried to let go of that subconscious rush because I see that this is how I can give. In this precise moment this is my priority. Sometimes that daily walk is painfully slow but sincerely Rowan's most prized, fulfilling part of his day. There is no race. No reward for "rushing" through our day, our life. The opportunities that present themselves to us daily help us prove if we are giving deeply where we deem worthy for us individually. With our own unique priorities we put our hearts on the line, our energy, and valued time, and we decide if we are making our mark on the world. If we are growing something small into something big. Life isn't a timed race--no--but an abundant garden of blossoms that grow individually and at their own pace. Each blossom gives and grows and makes its' mark. Each blossom's color may vary from another. But the garden is only a garden with the strength, brightness, and gifts of every single blossom. We need your strengths and gifts. I'm so excited it's (technically) spring. We've recently had cold, wet weather but I know the sun will return and so will my girls' frolicking in the meadow and post-dinner walks. Check out my updated sidebar for spring exploring inspiration! 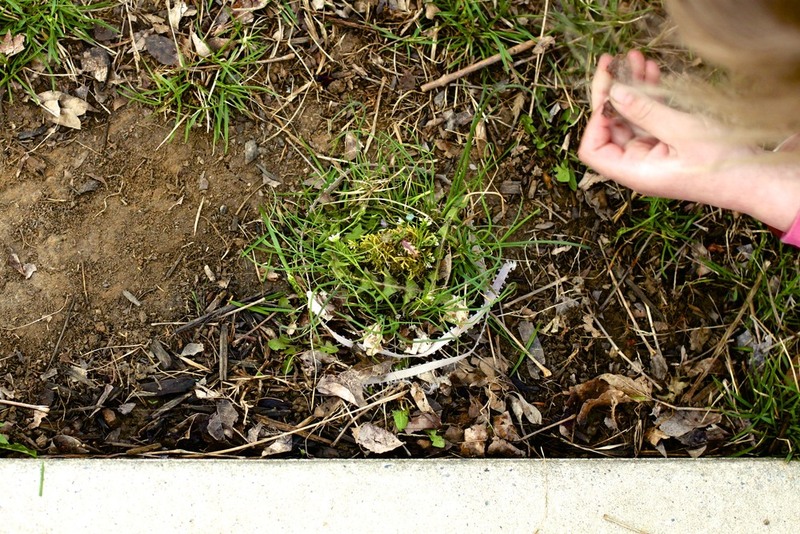 I've put up some of my favorite projects, exploration activities, and tips for getting out of the door and discovering something new in nature. If you don't have [amazon_link id="1590305353" target="_blank" ]I Love Dirt[/amazon_link], I recommend it. It is a simple book of inspiring ideas of how to use each season to explore, ask questions, unearth, and find answers with your kids during each season. So be inspired, grab an umbrella, and get outside! It's hard to believe that since living in central Pa for the past 10 years that the kids and I have never visited the well-known market--Root's Country Market-- in Lancaster, PA.
Everything authentically Pennsylvanian Dutch or Amish was there and in great quantity: canned + pickled everything, interesting meats (still can't get myself to try scrapple), whoopie pies, hand-carved rocking chairs, and horses + buggies. I love driving my kids into Amish country and seeing the most beautiful scenes of simple life: young boys in suspenders working in the fields with horse-drawn plows and young girls and their moms hanging clothes out on the line to dry (even in the winter months). 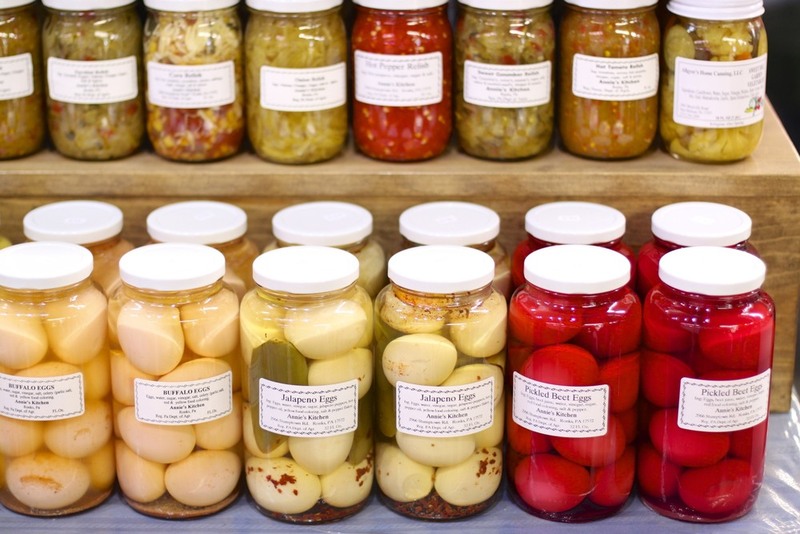 The country market is a perfect reflection of the rich history of Amish and the Pennsylvania Dutch together in one place. We bought some butter-toffee pecans + low sugar dried pineapple. We saw goats and chicks there for auction and loved being out in the farm country air for the day. Check out Roots and Lancaster County if you ever visit PA.
Go out and explore something new. We can best help children learn, not by deciding what we think they should learn and thinking of ingenious ways to teach it to them, but by making the world, as far as we can, accessible to them, paying serious attention to what they do, answering their questions -- if they have any -- and helping them explore the things they are most interested in. Trust children. This world needs more children that can think for themselves. Think outside the box. And confidently carve a unique place for themselves in the world. I love watching how naturally drawn my children are to totally different aspects of the world around them. Where one child is intrigued by the history of humanity, another can't remove her mind from the challenge of problem solving through constant creativity. Each child has gifts, strengths, and weaknesses. And by making the world accessible to each of them through touching, feeling, researching, and exploring it, they gain confidence in themselves and their ability to know more. They gain knowledge and understanding of how the world works, how they fit within it, and how to leave their unique signature upon it. Today do one thing to make the incredible world more accessible to your children. Go somewhere new. Explore the internet with that one research term your child has asked questions about constantly. Watch a documentary. Watch 15 YouTube videos together. Hike. Collect pieces of nature to bring home. Read that text that your child is drawn to and flips through often. Print out a wildflower identification card for that flower-gathering child. Check out every book on a topic at the library. Provide the tools for a new skill. And let your child experience the process of trying, failing, and succeeding. Encourage and support their individual yearning for more knowledge. You know those children's books that make reading to your kids absolutely delightful? I have my personal favorites that are too good to keep to myself. Here is one of our most favorite picture books that I promise won't disappoint. 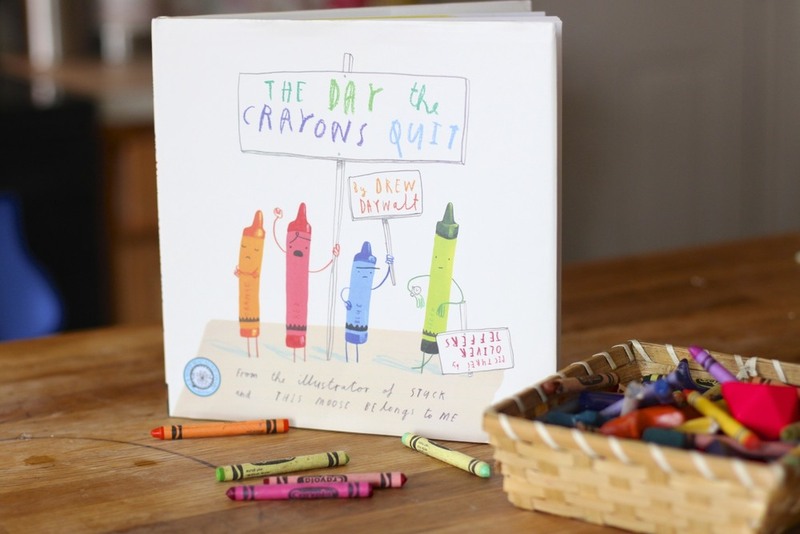 [amazon_link id="0399255370" target="_blank" ]The Day the Crayons Quit[/amazon_link] is so creatively written. The book is a compilation of letters from each crayon from the child, Duncan's, crayon box. It is such a creative approach to what each individual crayon may be thinking from being overused, underused, misused, and beyond. The illustrations are purely child-like and absolutely convincing that the crayons really are real and have feelings. The black crayon wants to be used for happier, brighter subjects, like beach balls and suns. The blue crayon is getting too short and stubby from all of the oceans and whales Duncan colors in. The greatest part of this book is how authentic and realistic the crayons are: their feelings, needs, and desires from their beloved owner, Duncan. My kids' favorite part (that creates the most giggles) is the peach crayon's letter. He is so embarrassed that his paper has been peeled off that he can't leave the crayon box because he's naked. Seriously, so creative! By the end of the story, Duncan listens to all of his crayons' requests and adjusts his artistic creations to please each one of them through the ultimate coloring masterpiece (which you have to see for yourself). My kids love the last page because they get to point out how each crayon's requests were realized in the artwork. I love this reader-involvement on the last page. [amazon_link id="0399255370" target="_blank" ]The Day the Crayons Quit [/amazon_link]is an excellent picture book for ages 2-8. We frequently checked out this book from the library and recently gave it to Ainsleigh for Christmas. Now it's a part of our collection of our favorite children's books. I can't recommend it enough! 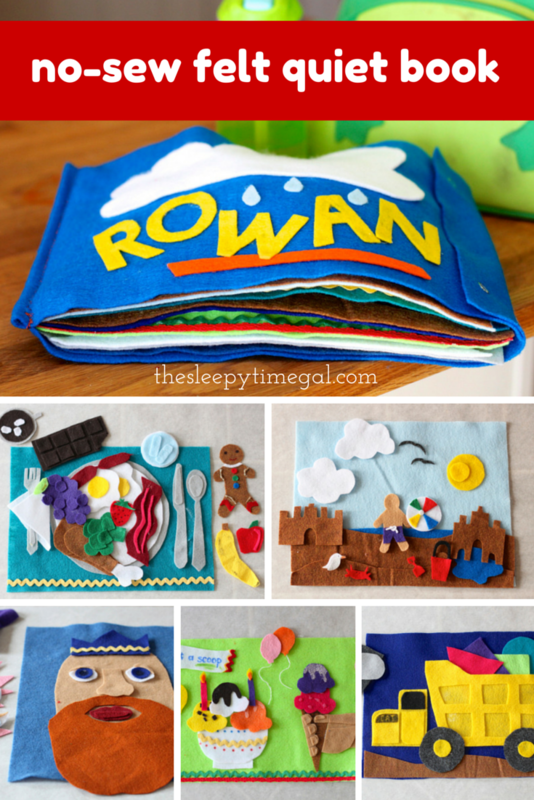 Make the most of "reading time" with your kids! "It is better to create than to learn! Creating is the essence of life."